Food trends are moving very quickly of late. So quickly in fact, that by the time you have finished your bottle of coconut milk, it’s already gone out of fashion and something else has become the "in" drink. FLOWERS - The food industry’s direction towards healthy meals sees a growing interest towards natural ingredients, but with a colourful twist! Experts anticipate a jump in demand for fusion treats, from beetroot lattes to yam cheesecakes. Culinary creations are becoming more and more imaginative than their classic predecessors. Culinary experts also believe floral flavours will catch up fast next year. Orchid, lavender, and elderflower are just some examples of these flavours that are a fragrant addition to sweet treats like gelatin, shortbreads, and milkshakes. POWDERS - This trend has already begun. 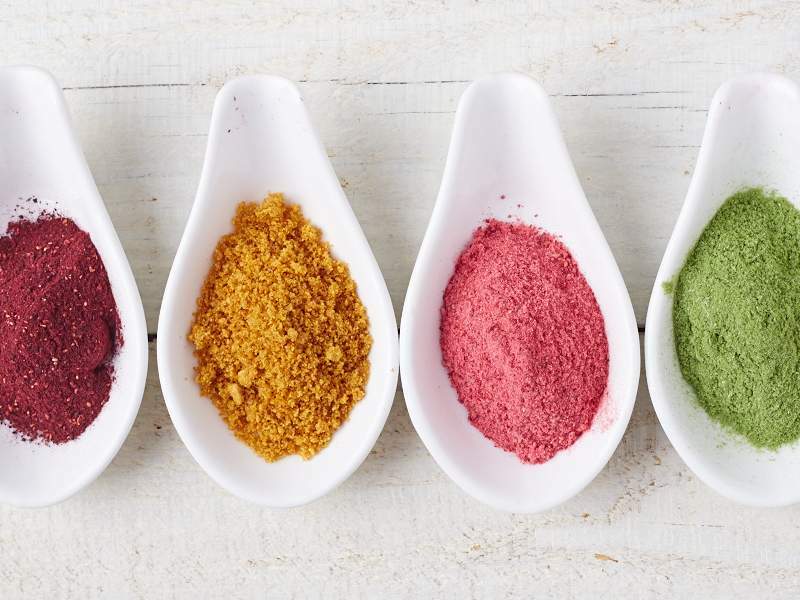 Think matcha, maca root, cacao, turmeric powder, spirulina, kale, herbs and other roots; it’s going to be ‘powder’ galore for 2018 as consumers look to kick up their creations with simple powders to enhance their health attributes and flavours. PUFFED AND POPPED SNACKS – Expect to see more and more vegetable crisps, puffed pasta, puffed seaweed and plenty of puffed flavoured rice. ROOT-TO-STEM – No more food waste! Pickled watermelon runs, pesto made from vegetable stems and a whole host of new products created from the bits you would normally throw away! FLEXITARIANISM - With nutrition and wellness taking centre stage in the food and beverage industry, we are starting to see a consistent pattern in kitchens and menus. Already proven to be a major hit in 2017 with the increased availability and variety of vegetarian and vegan meal options in restaurants (and at Simply Lunch! ), diners are slowly embracing animal-free diets, embracing a health-conscious lifestyle. 2018 is expected to see a continued rise in ‘flexitarianism’, a plant-based diet with the occasional inclusion of meat. The ideal option for consumers seeking a balanced meal plan between a normal and fully vegan diet, going green is the obvious growing trend next year. Here at Simply Lunch we have plenty of choices for everyone. Watch this space and maybe in 2018 you could possibly see a “flowery” product on our menu!